A lot of us still squirm at the post-whatever definition used to describe some bands, but sometimes that’s really all you can do. Let’s be honest, when you have a band named after a character on a book written by a French symbolist, who take off from a black metal base and fly through the shoegaze, screamo or rock hoops with the agility of a hummingbird, what else can you do? You either make up a word, or just let the world know that they’re simply ahead of everything else. If post-black metal or post-rock irk you, just call Bosse-de-Nage post-everything and be done with it. We’ll stop short of calling them post-music altogether because within the incredible elasticity of their songs – at times claustrophobic and oppressive, at times expanding like a brand new universe unfolding – there is a core of true musicianship talent at work. No matter how much they twist and turn through genres, patterns or expectations, there’s always something that keeps your ears grounded and attentive. 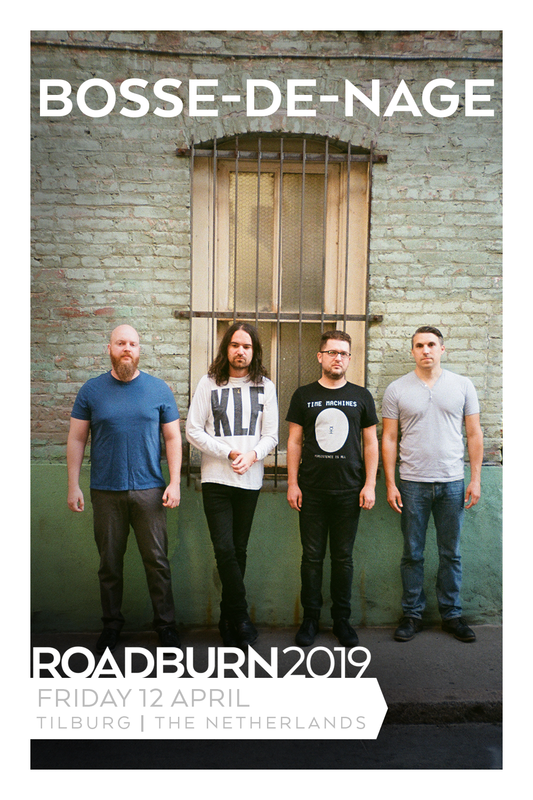 Having exploded on the scene shortly before fellow Roadburn alumni Deafheaven, with whom they’ve been often compared and even shared a split in 2012, the relentless exploration and pushing of boundaries has been a constant pursuit in the career of the San Francisco quartet. With each member initially only known by an initial, as though mere spectres channeling this labyrinthine music from some other galaxy, Bosse-de-Nage have navigated the last decade expertly, creating five mind blowing records, of which last year’s Further Still is the culmination so far. We had been chasing them for a little while already, and 2019 will finally be the year where our brains will go into overdrive trying to keep up with standout songs such as The God Ennui, Desuetude or the brilliantly titled mindfuck that is Why Am I So Lovely? Because My Master Washes Me. Prepare to stand amazed before Bosse-de-Nage at Roadburn 2019 on Friday, April 12.